Chewable buckeye bracelet for OSU mamas and their teething babies! A fun and unique gift for a new or expecting fan! 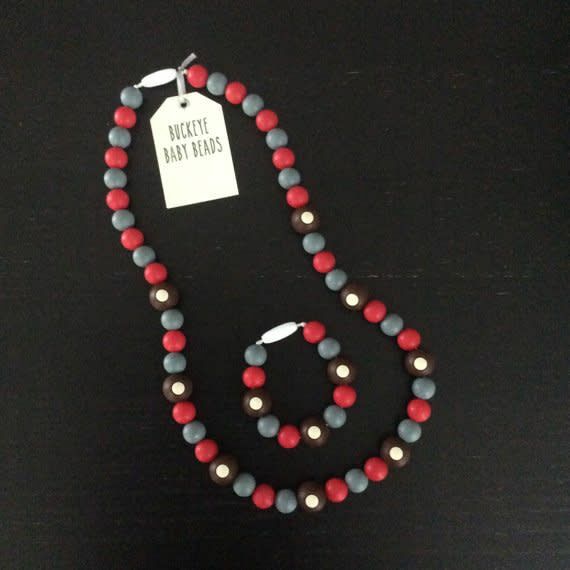 This necklace is soft on gums and provides relief for teething babies. bracelets are made with durable silk string and have a breakaway clasp, so they won’t break or hurt when overeager little ones pull on them.